If you have opted to spend your precious vacation in the charming town of Sarigerme, one of the activities you shouldn’t miss visiting is Sarigerme Aqua Dream Water Park. 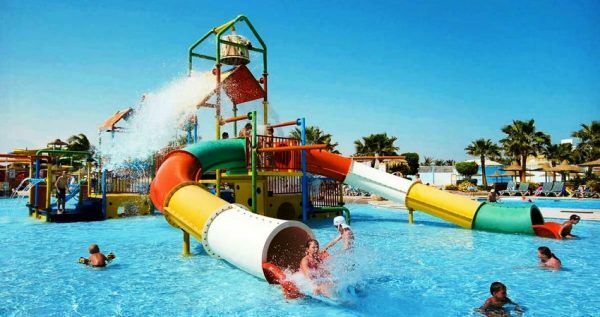 Our terrific whole day excursion to Aqua Dream Water Park is designed to provide you with some childish fun and relaxation. 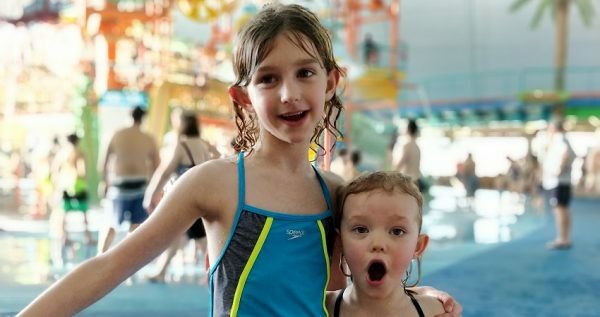 This awesome water park is created to let both you and your children enjoy your time on its grounds. Sarigerme Aqua Dream Water Park tour is organized three times in a week. When it comes to both entertainment and facilities, it is the most well-equipped park too. The park is located on the top of the hill which gives the visitors a stunning view of the city during their fun escapades at the park. 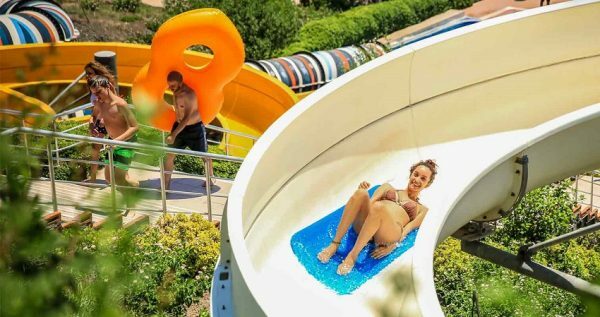 Aqua Dream has a variety of thrilling water slides, including The Wild Rafting Slide, Aqua Tower, Kamikaze, Black Hole, Multi Slide and much more. The park also has a broad array of pools, such as Kids Pool, awesome Wave Pool and different Swimming Pools. Once you arrive, the proper safety equipment will be given to all the members of your group, so you can be certain that your safety is our outmost concern. The park also employs at least one life-guard during the work-day. Sarigerme Aqua Dream Water Park provides its visitors with changing rooms and lockers, so you can safely store your clothes there. You can also use a safety deposit box for your precious valuables. There is also a great restaurant and a charming café within the complex. You can get some delicious snacks, fresh drinks and fruit beverages there if you get thirsty or hungry. There are also two lovely bars on the park’s premises if you want to have something alcoholic to drink. Bringing your own drinks and snacks into the park is not allowed, simply because it is completely unnecessary, since you can buy everything you need there. This lovely park does its best to make your vacation as memorable as possible. 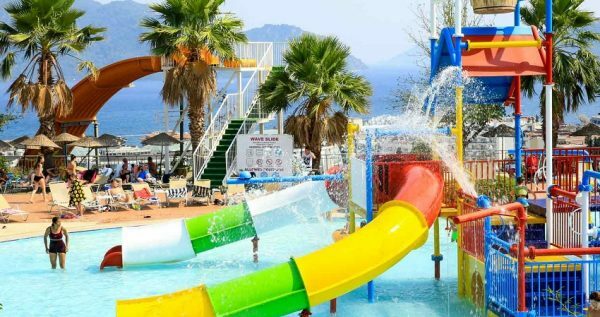 Atlanis Aqua Park is another water park option which you can attend from Sarigerme. If you want to experience a fun day of unforgettable entertainment with your family and friends, then our Sarigerme Aqua Dream Water Park tour is exactly what you need. 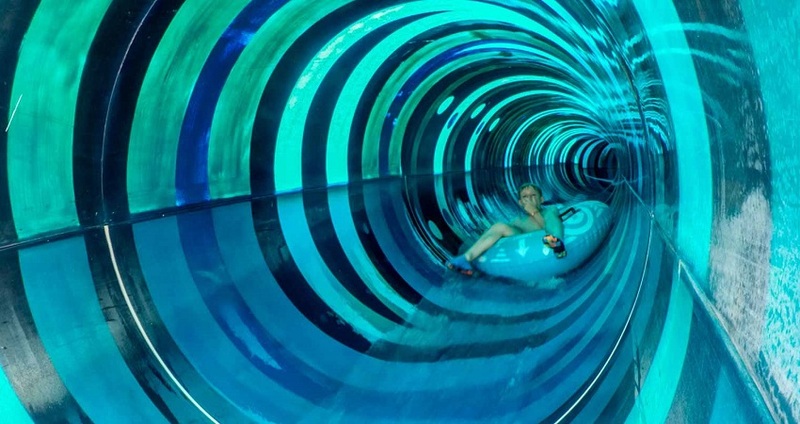 This great Water Park is open for visitors through the summer season. Once you are booked, our driver will pick you up in front of your accommodation in Sarigerme and take you for a comfy ride to this wonderful Water Park. 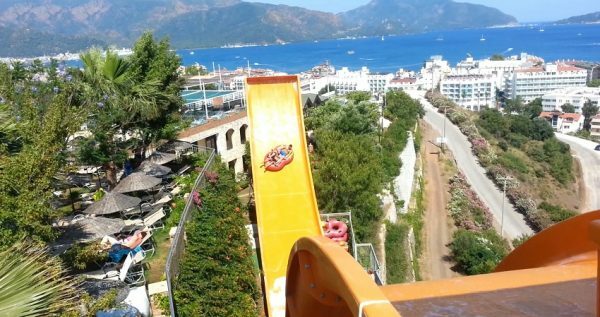 Aqua Dream is the largest waterpark around and it is situated on the top of the hill that towers over Marmaris, which gives the visitors a terrific view. 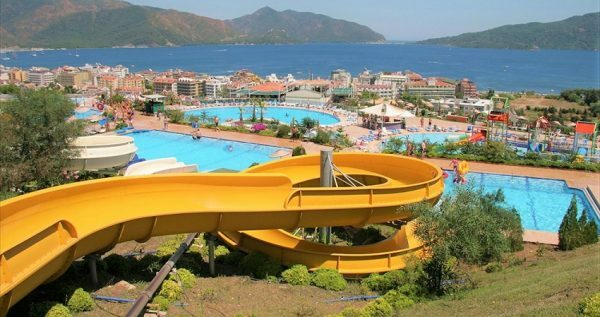 This park includes 9 different slides, each of which has its own levels of fun and excitement. Some of them could even seem dangerous, but you can be sure that they are all regularly maintained and checked. Your safety is the outmost concern of the staff working at the park, which is why there is always at least one life-guard nearby. Aqua Dream Water Park has multiple showers, numerous changing cabins, safety deposit boxes, restaurant, a cafeteria, several bars and toilets. All of these useful amenities are at your service free of any extra charge, because this great park aims to make you happy and pleased at all times. 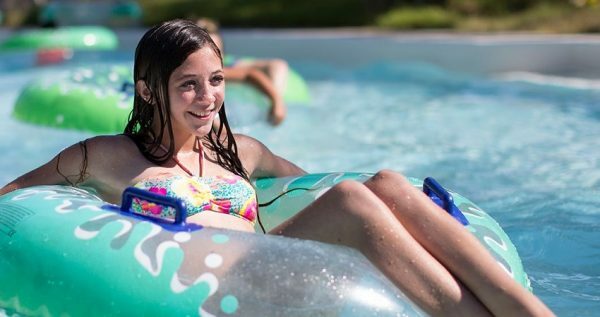 One of the most popular spots in the park is the Wave pool. This terrific and innovative pool begins working at 2 pm. When you step into the pool, you get the feeling like you are stepping into the restless sea water. We should mention that every pool at this park is being cleaned and maintained regularly, in order to achieve a hygienic and safe environment for its visitors. At approximately 3 pm there is a special party going on – a Foam Party. Everyone can join in and have fun in the foam. The Foam Party is one truly memorable experience. 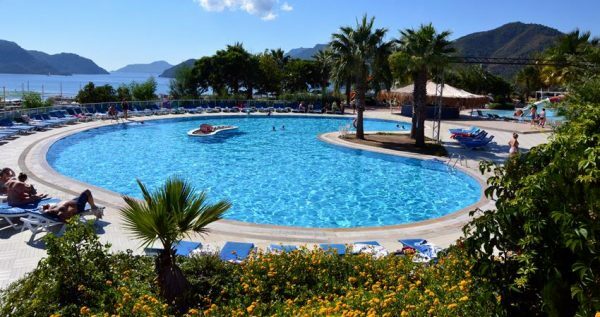 Once your session at the Water Park is over, our driver will come and pick you up in front of the park, and take you back to your accommodation in Sarigerme.